Mark your calendar for the highly anticipated shopping experience of the season, featuring the best local creatives. Stay tuned for the announcement of our carefully curated vendors, ensuring you can cross off everyone on your Christmas list. We are inspired by creatives & entrepreneurs who work tirelessly to see their dreams become a reality. 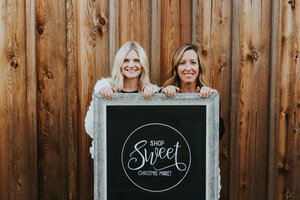 Shop Sweet Market combines our love and inspiration to bring the best local business owners and shoppers (like ourselves) together! Drop us a note if you would like to be featured on this blog as a local creative and entrepreneur! © 2017 SHOP SWEET MARKET. ALL RIGHTS RESERVED.